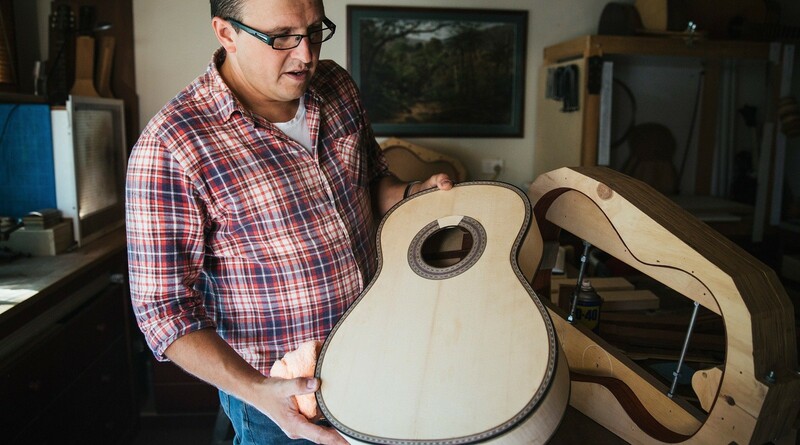 Established in 2001, Sachar Amos guitars is a workshop dedicated to the craft of classical guitar making and stringed instrument restoration. 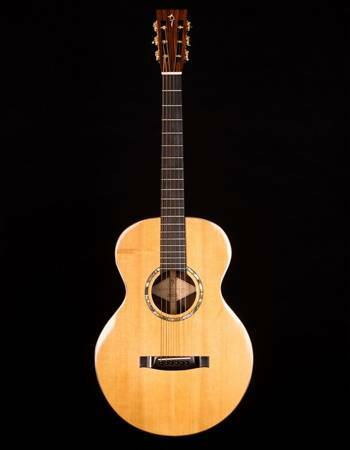 I make standard model classical guitars by hand for student and professional players as well as custom instruments for those who want something personal or one of a kind. 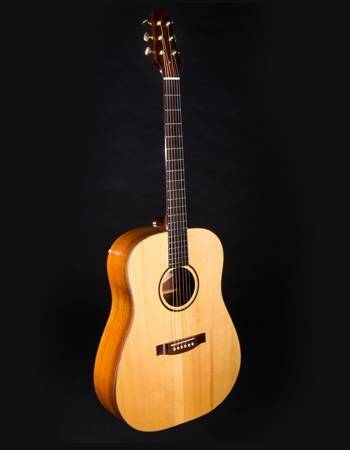 My guitars are crafted from aged timbers and polished in the traditional French polish method for the best possible tone and visual beauty, using design and craft techniques derived from historical instruments. The workshop is also fully equipped for restoration & repair of bowed & fretted instruments including guitar, mandolin, violins & bows, with the aim of optimizing existing instruments to their best possible sound & playing condition. My workshop is located in The Basin, at the foot of the Dandenong Ranges 35 km East of Melbourne CBD, easily accessible by the Eastern freeway. Workshop visits are encouraged to come and try my guitars for sale from the onsite display gallery or to have your stringed instrument evaluated for restoration or repair. All enquiries are welcome….thank you for visiting. Over 25 years experience in stringed instrument making & restoration. Specialising in guitar, mandolin, violin & bow restoration, Sachar has extensive knowledge and experience in restoring instruments to their optimum playing condition. 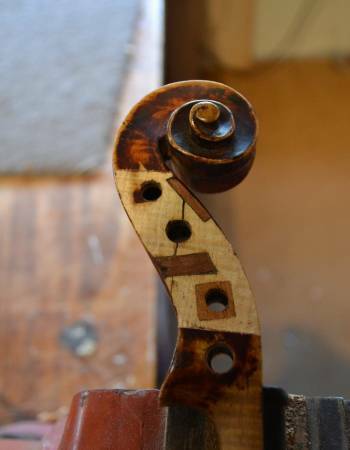 The workshop has undertaken major restoration & repair projects for classical, jazz, rock and traditional/world musicians as well as collectors of historical stringed instruments. Sachar's hand crafted classical guitars are concert instruments made from the finest quality timbers and hardware & finished in the French polish varnish method. 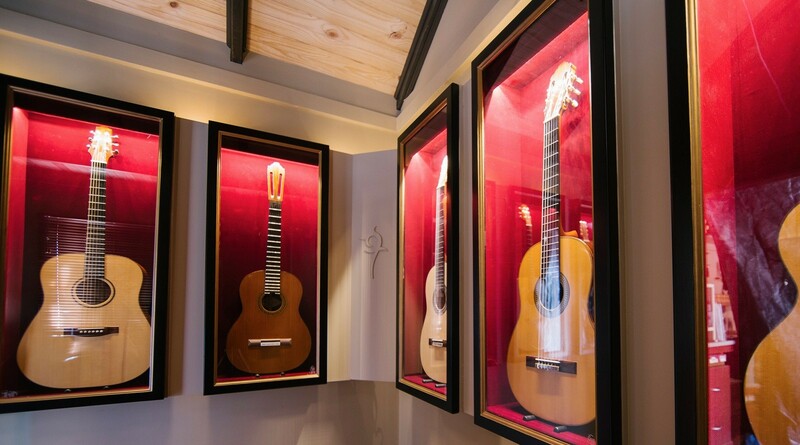 Sachar's workshop features a display room stocked with guitars he's made which are for sale, offering a selection that you can come and try when searching for your next classical guitar. 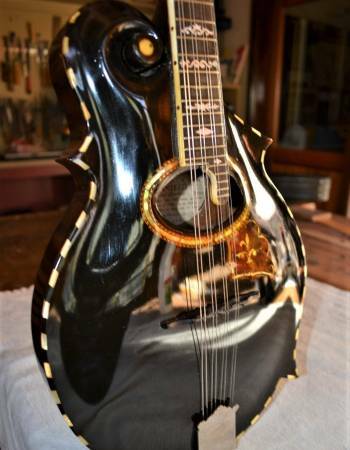 Sachar has hand crafted over 160 classical, steel string & acoustic lap steel guitars and has collaborated with many customers to create their ideal stringed musical instrument. If you’re looking for an instrument with great sound and play ability with one of a kind character, Sachar is ready to help you create the guitar that you desire.